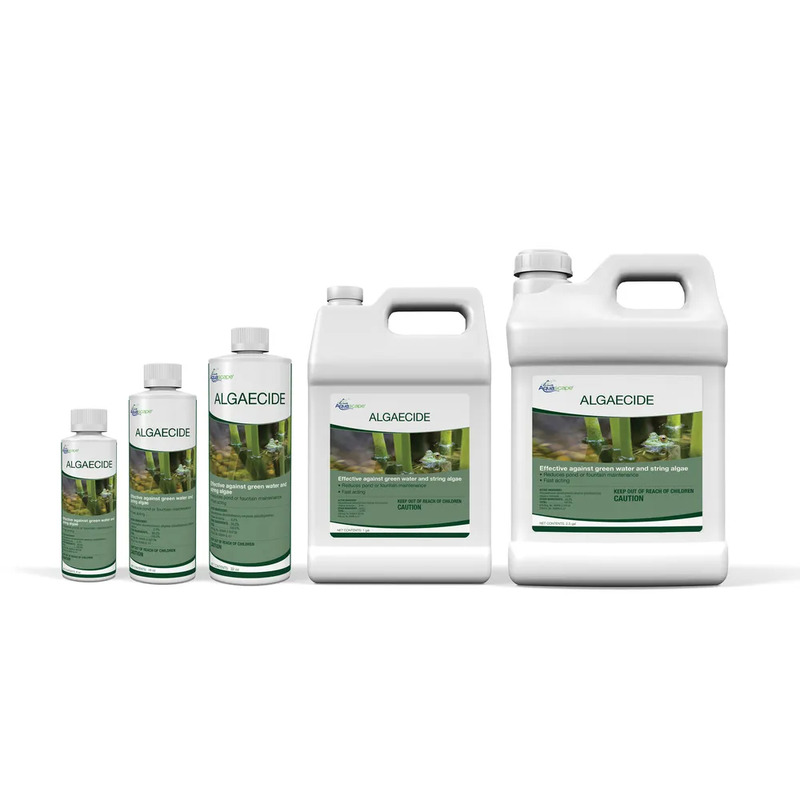 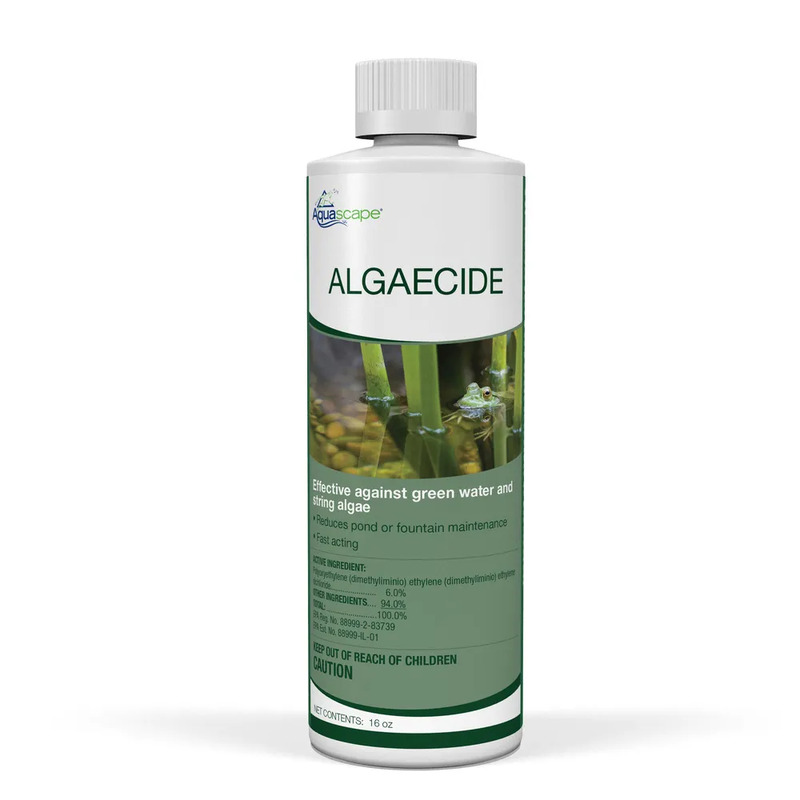 Aquascape Algaecide is a liquid pond algae control product that quickly and efficiently combats algae and stops algae growth in ponds, waterfalls, and fountains. 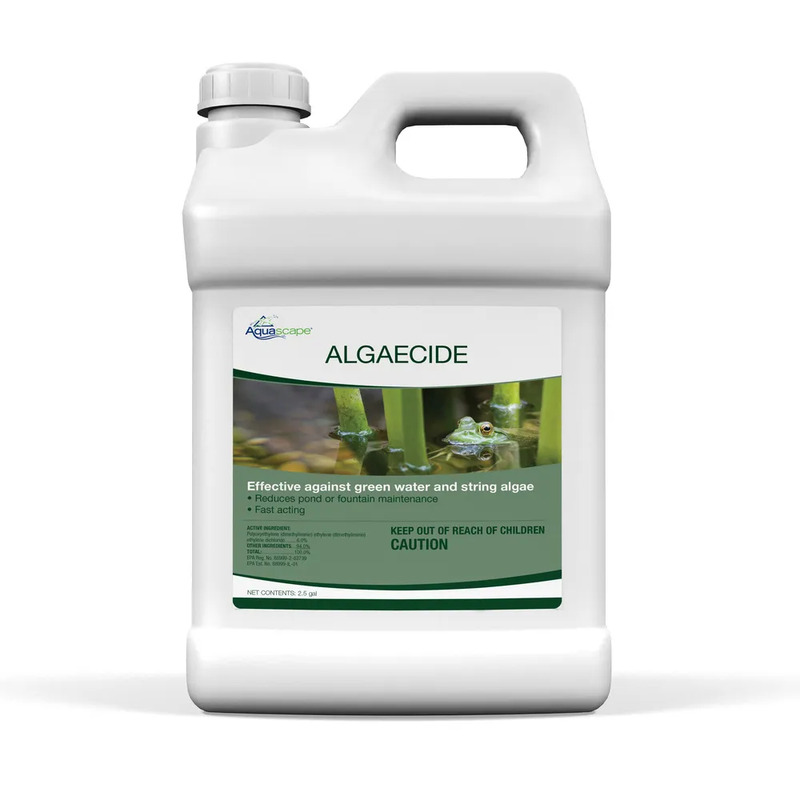 Algaecide keeps water clear and greatly reduces pond and fountain maintenance. 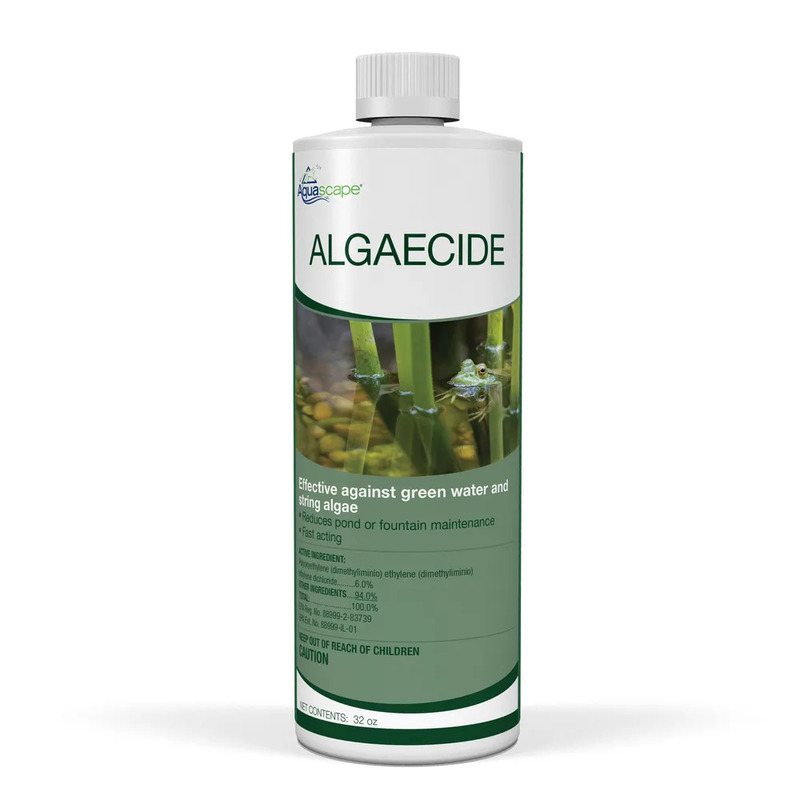 Aquascape Algaecide controls string algae growth as well as single-celled floating algae, also known as green water. 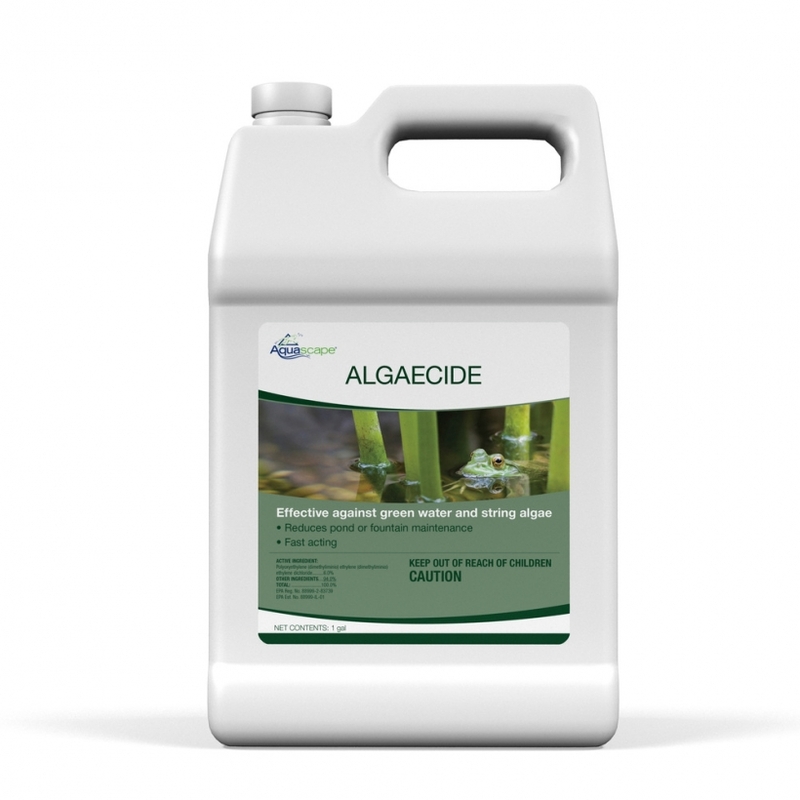 Elimination of algae will allow you to spend more time enjoying your pond and less time maintaining it. 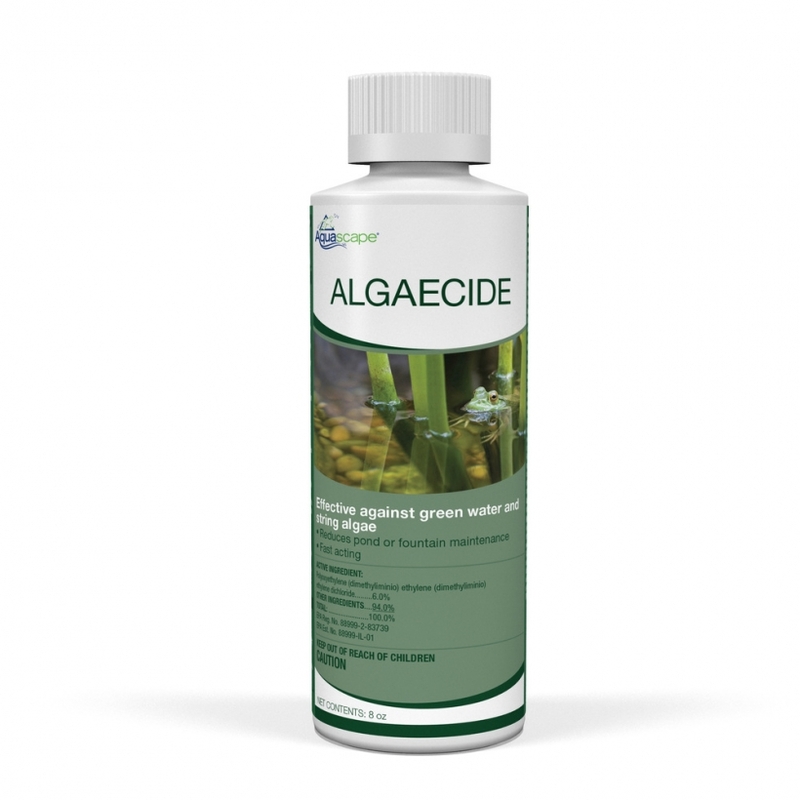 A teaspoon will treat 50 gallons, making the addition of treatment quick, easy, and precise. Algaecide can be used in ponds with fish and plants.